Your best candidates might not realize that you’re hiring (or even that they’re open to a new job). So while you’re waiting for active candidates to apply on their own, start sourcing these passive candidates and grow your talent pipeline right now. We’ll show you how to get started quickly to meet your immediate hiring needs and how to keep it up to support future growth. 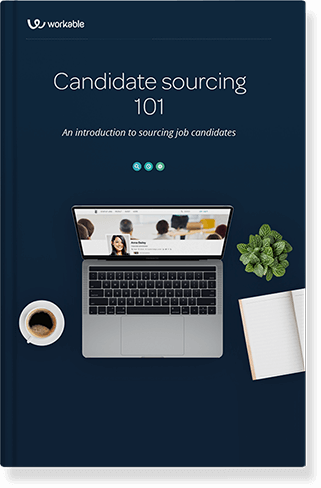 Download this ebook now to learn how to grow your team by sourcing passive candidates. Nikoletta Bika is a senior writer at Workable. She writes about all things HR and recruiting, with particular interest in bias, data, technology and the future of work. She hates meaningless jargon and dreams about space travel. She tweets @Nikoletta_Bika. This is a cold email template you can use when sourcing passive candidates for an open position or trying to hire for hard-to-fill roles in your company.